We're up at the hideaway this weekend, enjoying the cool weather and lots of rain. 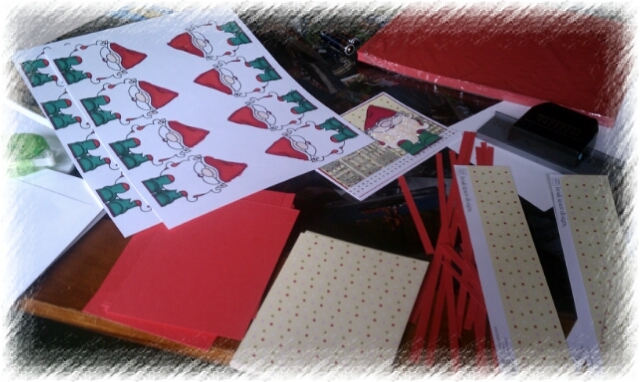 Gives me a good opportunity to work on my Christmas cards. There's nothing like a nice, gentle rain while at the cabin/cottage! I have such cozy memories of it at the cottage in Michigan. :) I hope you like it as much as I do.